A retail lease defines the relationship between a landlord and a tenant of retail premises. It is important to fully understand your rights and responsibilities as a retail tenant or landlord. Unless you have experience in commercial/retail leasing, we recommend you seek professional legal and/or financial advice before entering into an agreement.  The Code of Practice for Retail Tenancies applies to retail tenancy arrangements within Tasmania entered into from 1 September 1998. It applies to the negotiation of new retail lease agreements, as well as the performance and renewal of those agreements. Leases entered into before 1 September 1998 which have not been varied since that date are known as 'Pre-code' leases and are not covered by the Code. This includes renew options contained in those agreements. all small premises in shopping centres. Generally retail/commercial tenants are required to provide the property owner with some form of security such as a bond or bank guarantee. This is to cover any outstanding debts, damage or other issues with the condition of the premises at the end of a tenancy. You are not required to lodge retail or commercial bonds with the Rental Deposit Authority (RDA). Three months (or any other period specified in the lease) before your lease ends, the landlord needs to write and tell you whether they plan to offer you a new lease or not. If you haven't received this written notification, write and ask for it before the lease ends. This will give you up to three more months on the lease from the time you receive the notice. If the three months extends past the date your lease was due to expire, you can terminate the agreement during the extension period with one month's written notice. Tenants usually have to return the shop to the condition it was in when the lease started. This generally includes such things as repainting, removal of fixtures and fittings and repairs of any damage caused throughout the tenancy. The tenant is usually responsible for these costs. either party may refer the matter to a court for hearing.